The Alu D&T Challenge is sponsored by businesses and organisations representing the complete spectrum of the UK aluminium industry. The Aluminium Federation (ALFED) is the trade body that represents the UK aluminium industry. With members spanning whole lifecycle of aluminium, it plays a key role in supporting its members’ needs. This includes providing technical and commercial services, as well as engagement in political lobbying with the UK Government and at EU level. ALFED also plays a key role in promoting aluminium as a metal for the future to a wide range of audiences, from schools and colleges to designers, engineers and manufacturers. 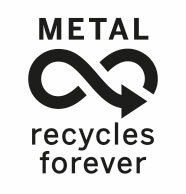 The Aluminium Packaging Recycling Organisation (Alupro) represents the aluminium packaging producers, fillers and reprocessors in the UK. Our membership comprises the full spectrum of the aluminium packaging ‘loop’. Alupro represents the industry to policy makers and opinion formers in the UK and Europe. We also run campaigns in partnership with other materials, local authorities and leading brands to inspire and encourage people to recycle more, wherever they are. We are delighted to host the Learning Aluminium website. Alupro was founded by, and has been supported by, the aluminium industry, for more than 25 years.